Who doesn’t love receiving gift’s on Valentines Day? I can state for the record that I don’t mind at all. I was somewhat perplexed however when this turned up at my office on the day in question after my wife and daughter had both given me their Valentines Day gifts. 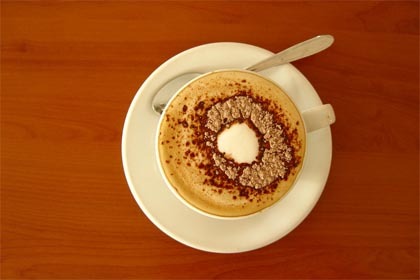 It was however a gift of love that in this case demonstrates the love of its maker for the quality of its ingredients. 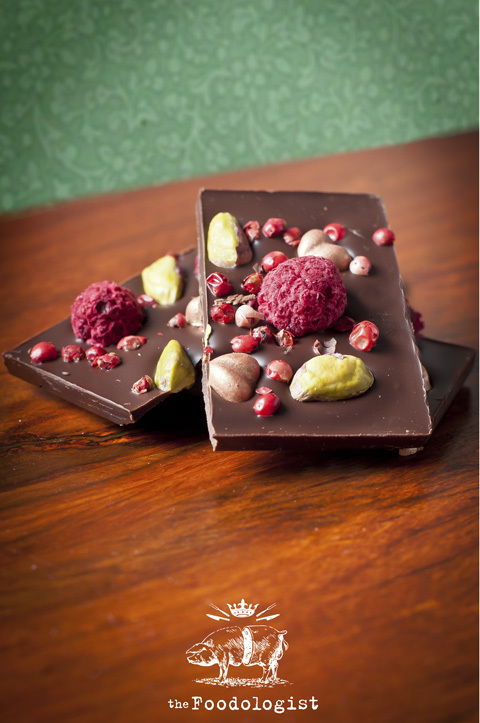 This bar of chocoMe Dark Chocolate was covered in exquisite Rasberry, Pistachio and Pink Pepper and is part of a personalised range of chocolates that are being produced here in South Australia. chocoMe chocolate bars can be combined with 80 different toppings (including a variety of organic toppings) – purchased predominantly from Australian growers and producers, with some imported ingredients. Up to five different toppings can be placed on each chocolate bar, which ultimately offers about 60 million possible combinations. 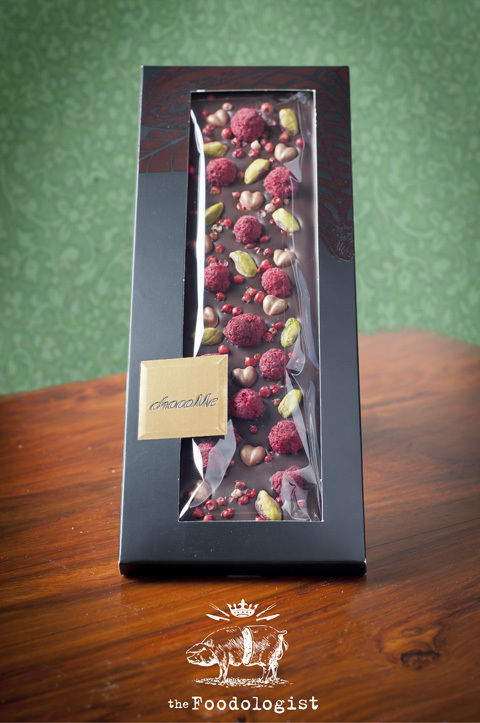 With each bar of chocolate being handmade means you are getting a quality product that is personalised to your liking. You can find chocoMe here: http://www.chocome.com.au/ and you can also buy from selected stockists such as The National Wine Centre, Mercato, Icons Store SA (Adelaide Airport). A number of other stockists can be found on their website. That’s some mean looking chocolate. Love the concept.